We left the behind the sad disappointment of the Louisiana Visitor’s Center and decided to try something we’d never done before – to visit the Texas Visitor’s Center. So we did. 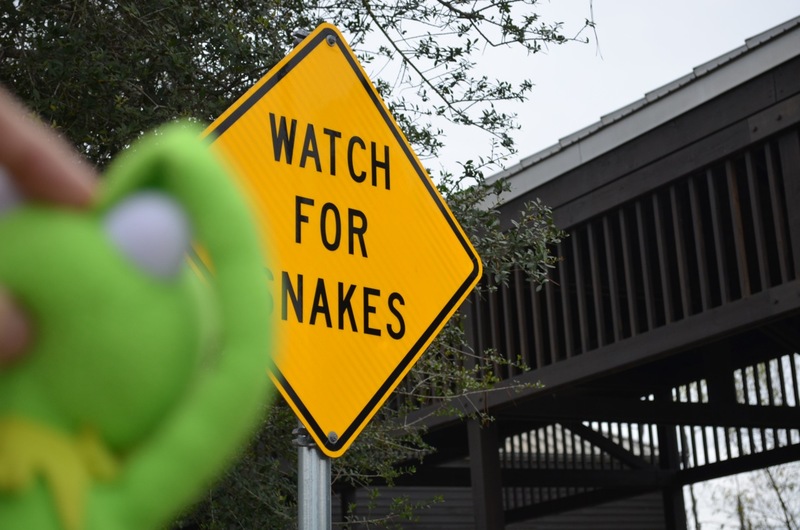 In case you are wondering, that is Kermit in a “holding arm up to shade eyes while scanning for snakes” pose, rather than Kermit in a “holding arm up in alarm upon learning that the Visitor’s Center actually just prominently warned us about snake risk” pose, though if you’d like to imaging it’s the latter, then feel free. We try to be accomodating. 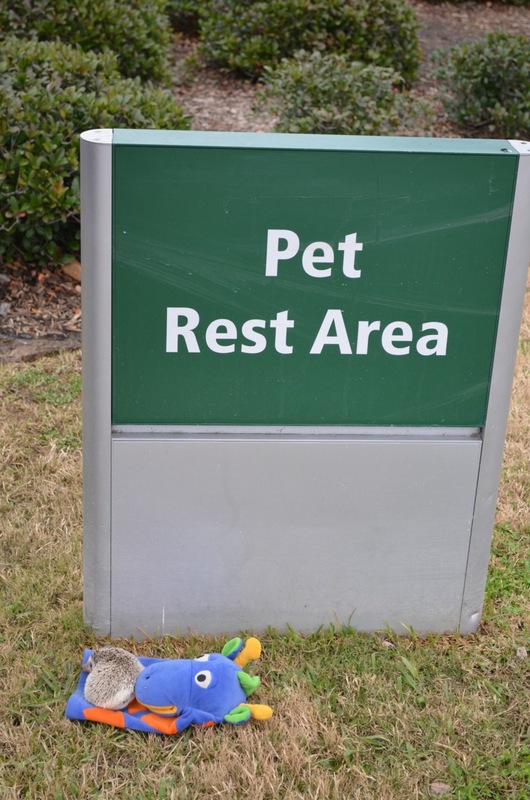 On arriving we also found the (now expected) disappointment of institutionalized pet prejudice. Sorrow welled up in the hearts of us all, but Princess Sophie borrowed a page from the book of Fancy. Disclaimer: Please note that Princess Sophie did not smoke. 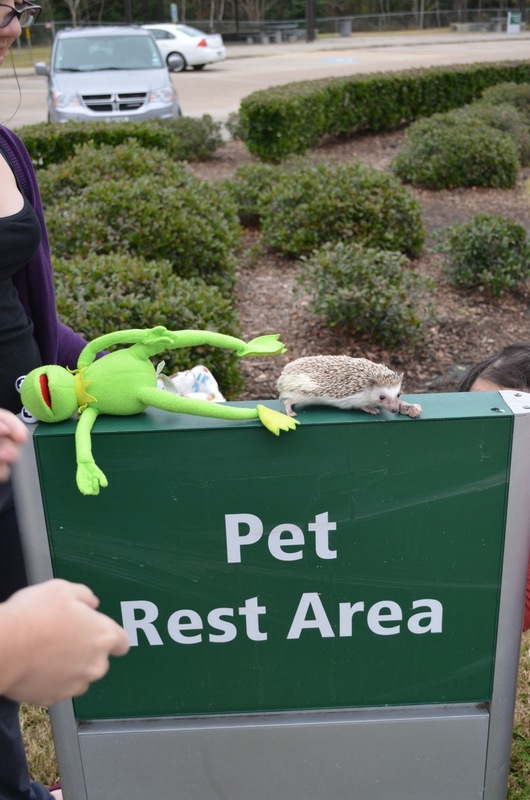 Please also not that Princess Pricklepants didn’t smoke, nor did Fancy or anyone else in our entourage. 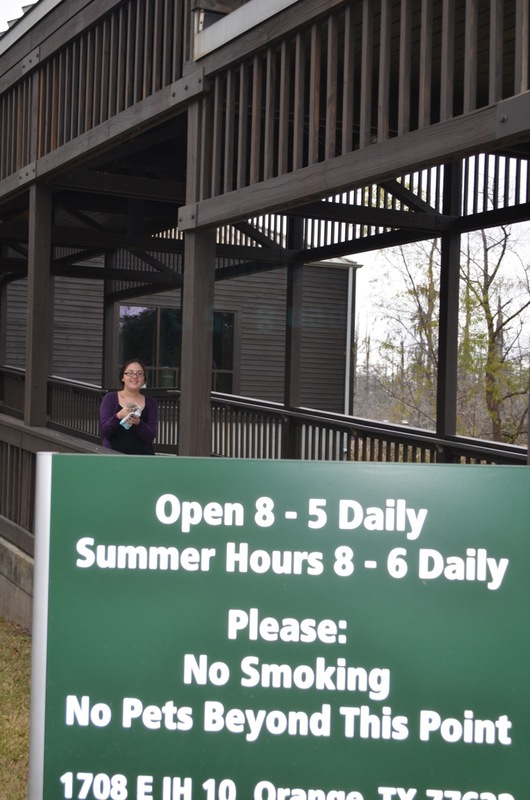 While we don’t have photographic evidence to prove it, this Visitor’s Center was also closed, so we weren’t able to learn about Texas and the interesting and varied things within its gigantic borders. There was a really neat looking boardwalk over a swampy area that we (for limited versions of “we” that do not include Ryan) were interested in checking out. I think maybe it was only a couple people who were interested in the swamp. Perhaps just me. Still, it looked like a great learning opportunity for the hedgehog. Yet it was not to be. Suffering that bitter disappointment, I looked around hopefully for snakes. None were found. 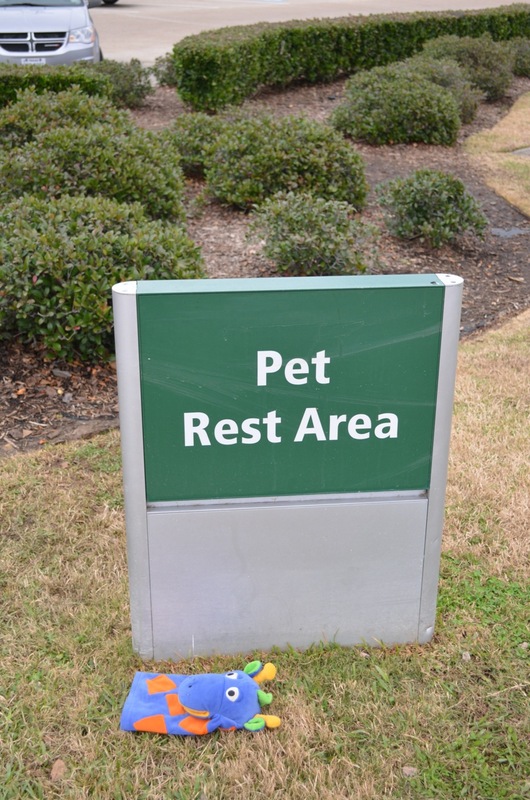 But there was a separate pet rest area. Separate but equal being unequal, Fancy staged a sit-in as a protest, but wasn’t able to sit. 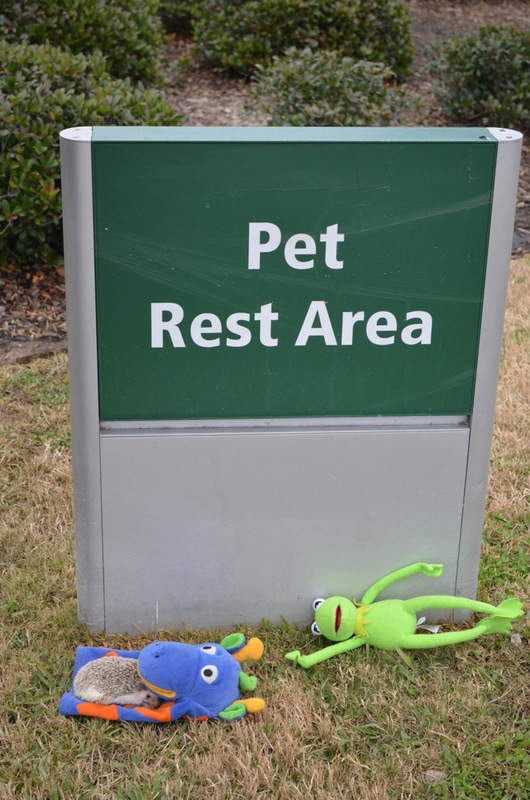 They got tired and decided to have a rest on the sign along with a small rock. 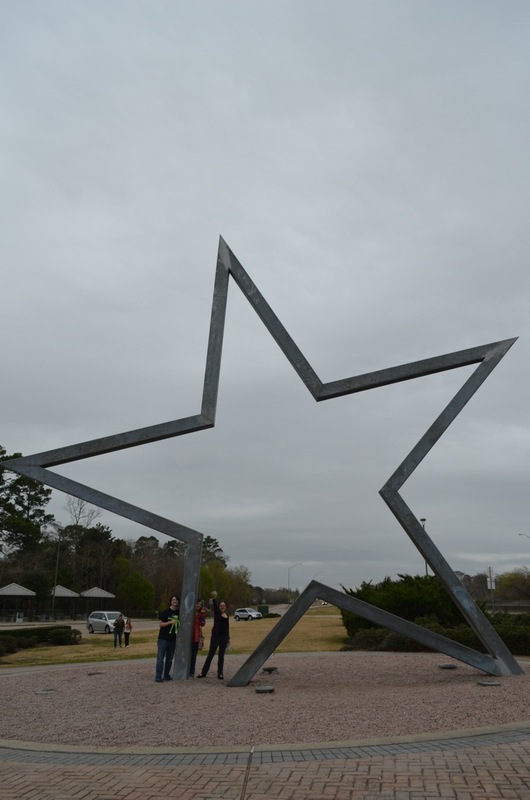 The center also had a very large star that everyone stood near. The hugeness reflecting that the state is remarkably large. Here is the star from afar. Here is the star quite near with Max expressing fear. 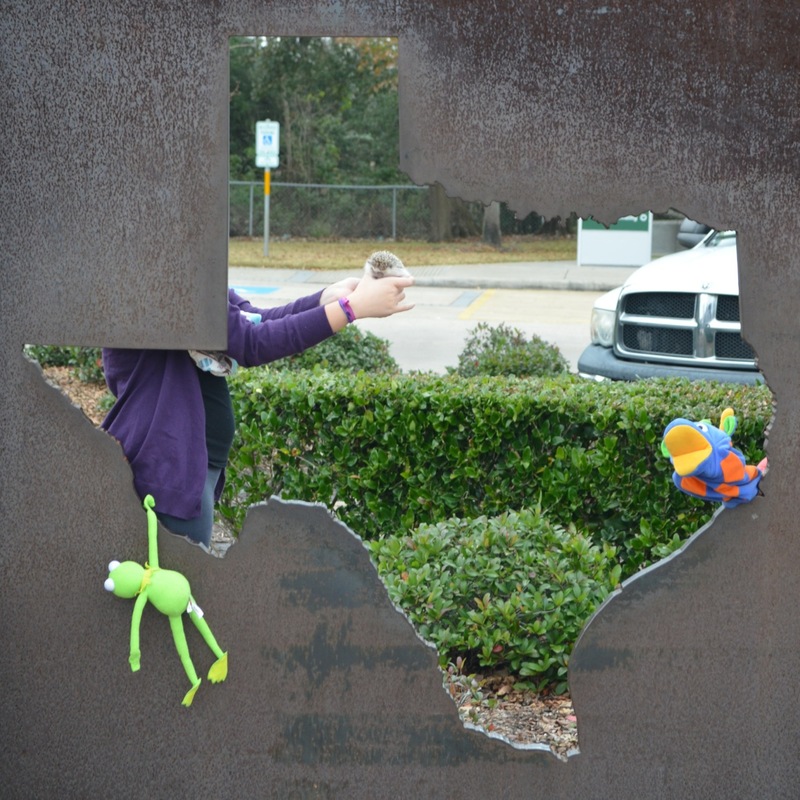 There also was a Texas shape cut out, in case your location was in doubt. Disclaimer: Kermit was not in any way attempting to infringe on the intellectual property of the “Hang In There” kitten poster. This was a really good rehearsal. We arrived at the Visitor’s Center around 3:00 and left about fifteen minutes later. Then we drove, and drove, and drove. 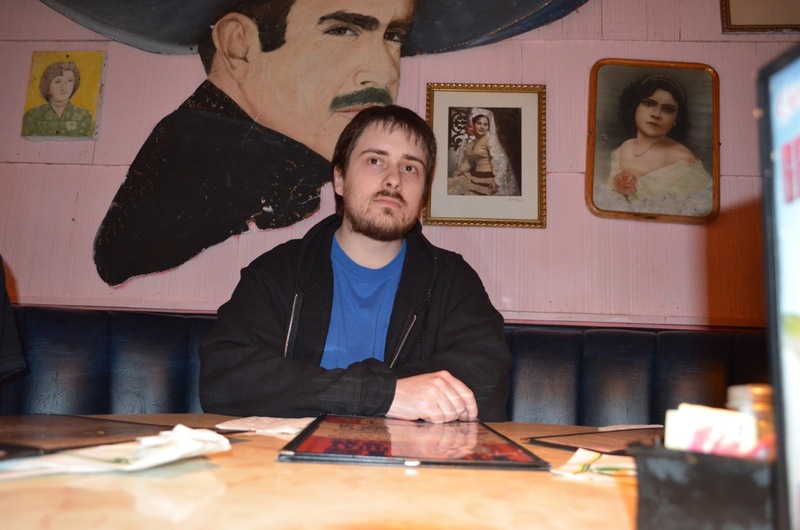 Reaching the border of Texas can give you a brief illusory sense of being close to being home. This sense of hope will gently fade over the many, many hours of driving from the border to Austin. 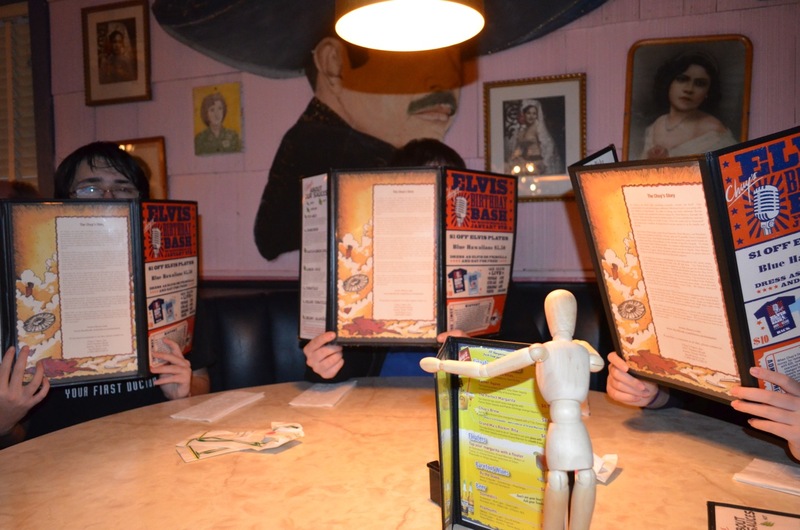 Around 7 we went for dinner at Chuy’s. 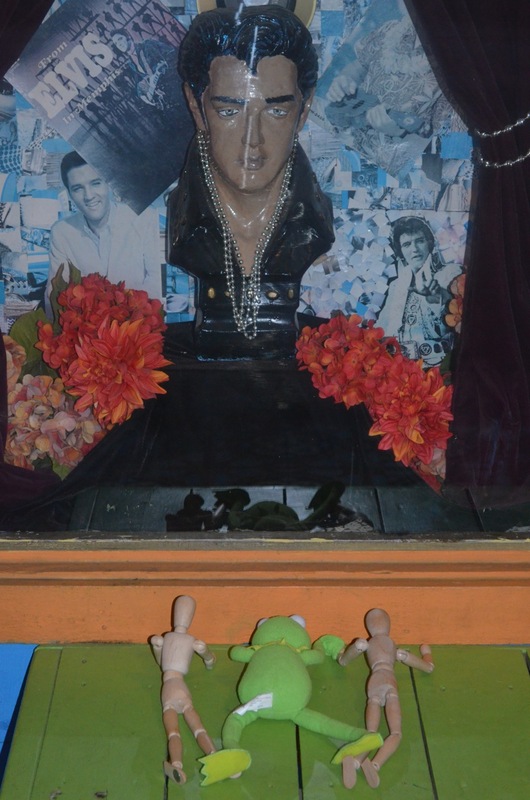 Kermit and the Art Models were excited to find the Elvis shrine. The Art Models were happy to finally get a photo in. They felt neglected this trip. 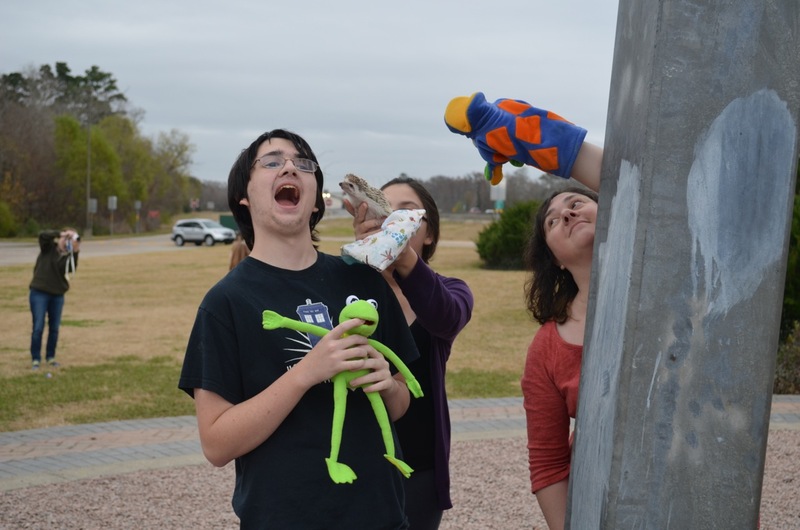 On the other hand, the kids were a little tired of the camera. Th Annoying Private Ryan rehearsal went over poorly, even with the amazing setting. 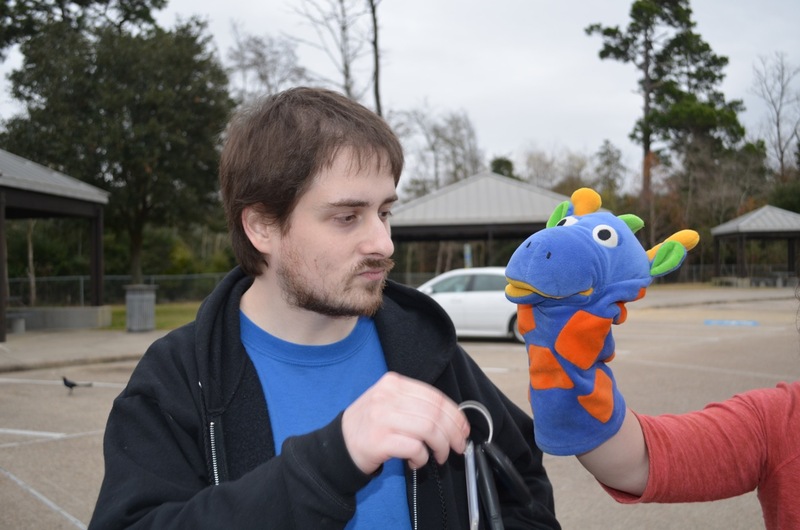 Sadly Private Ryan was very tired of helping in rehearsing, and confiscated the camera. 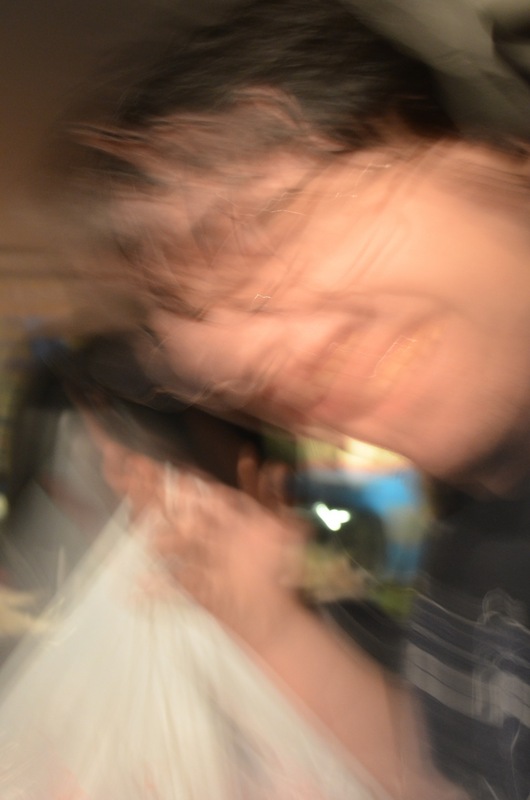 This was the final image captured. Fancy was still pleased. Around 9:30 we finally made it to the outskirts of Austin a bit annoyed at how big Texas is. 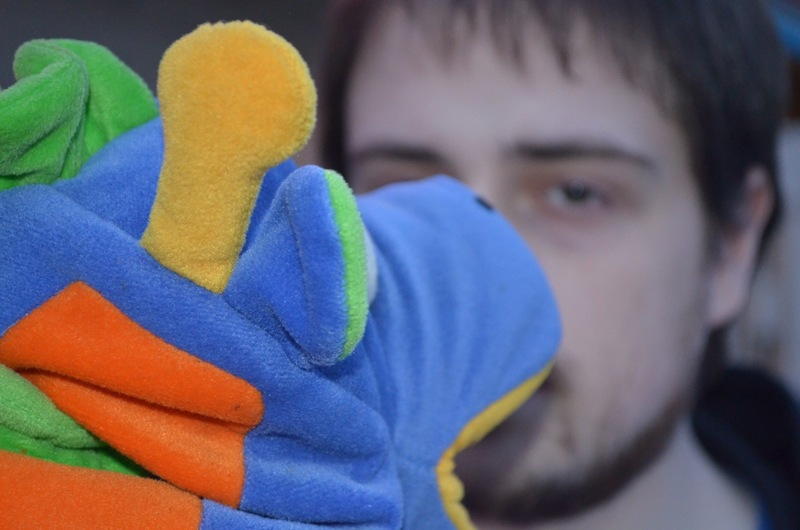 And so our incredibly long journey with a hedgehog, a puppet giraffe, and a famous frog drew to a close. 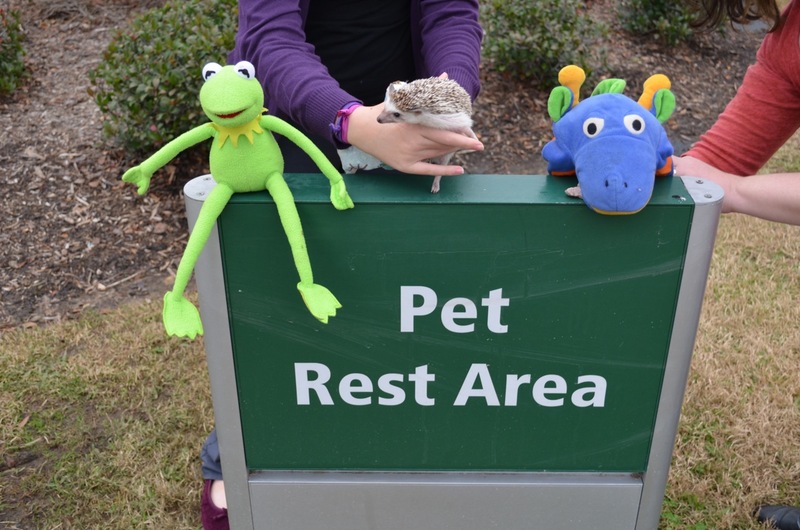 This entry was posted in Hedgehog and tagged African Pygmy Hedgehog, annoy, awesome, civil liberties, civil rights, Elvis, hedgehog, Kermit, Louisiana Visitor's Center, photo, photography, Princess Penelope Pricklepants, Princess Pricklepants, protest, rest, sit-in, Slog, Snake, Star, Texas, Texas Visitor's Center, travel, Visitor's Center. Bookmark the permalink.